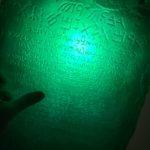 Your Order for the Emerald Tablet replica is Now Complete! YES, I want more! Take me to ANCIENT EGYPT Mystery Schools NOW!